Roger Corman is the stuff of legend – a one-man production army who kicked off his filmmaking career in 1948 as a messenger on the Fox lot. From the very beginning he was a tireless worker, volunteering to come in on Saturdays so that he could learn the business fast. Within the year he was promoted to script reader and his coverage helped to transform a rejected screenplay into the Gregory Peck vehicle The Gunfighter (1950). Unfortunately, Corman got none of the credit for this success. He quickly realized that the best way to climb the corporate ladder was to write his own screenplay, and promptly left for Europe to seek inspiration. After a semester at Oxford, studying 20th century English literature, and a brief stint in Paris, he returned and sold a script called “The House in the Sea” to Allied Artists. “The House in the Sea” originated with a striking final image: a cluster of houses sinking into the Salton Sea. 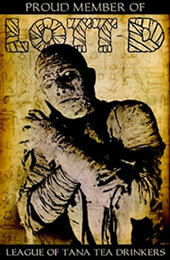 (The image may have inspired the end of The Terror a few years later.) The ending was completely re-written, but Corman didn’t mind – he took the money that he’d been paid for his screenplay and sunk it into his first production: The Monster from the Ocean Floor (1954). Corman was savvy enough to exploit the atomic anxieties of the rising generation, and to return to the idea a year later in The Day the World Ended. He produced and directed low-budget films in multiple genres – including westerns and pictures about teenage rebellion – but he is perhaps best remembered for his contributions to the science-fiction and horror genres. The Day the World Ended (1955), written by Lou Rusoff, is a forerunner of Night of the Living Dead (1968), featuring the same essential plot of a group of strangers trapped in a house and surrounded by hungry monsters. Like Romero’s film, The Day the World Ended is a psychological drama, focusing more on the characters than the monsters. It Conquered the World (1957), from another screenplay by Rusoff, sits comfortably in the shadow of Invasion of the Body Snatchers (1956) and features a young Lee Van Cleef as a man possessed by a telepathic alien. Not of This Earth (1957), a precursor to Corman’s later masterpiece X (1963), is one of the first horror movies to emphasize tongue-in-cheek humor. The screenwriter on Not of This Earth, Charles B. Griffith, became one of Corman’s most frequent collaborators, adding the same offbeat humor to Attack of the Crab Monsters (1957), A Bucket of Blood (1959), The Little Shop of Horrors (1960), and Creature from the Haunted Sea (1961) – all notoriously cheap productions that outshined the competition. Bucket was shot in five days; Little Shop was shot in two days (on a bet); Creature was made as an afterthought while Corman was in Puerto Rico shooting The Last Woman on Earth (1960) – another highly underrated post-apocalyptic drama, written by Robert Towne. By then, Corman was being recognized by French critics as an auteur – which surprised Corman himself more than anyone. Whether that was the true prompt or not, he soon became restless – he founded his first distribution company (The Filmgroup) in 1960, convinced American-International Pictures to allow him to make bigger, more lavish films (the beginning of the Edgar Allan Poe cycle), and began planning his first “statement” movie (The Intruder, 1962). 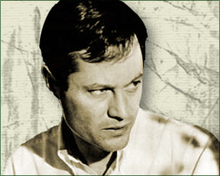 Filmgroup folded within a few years, but Corman cemented his reputation as a director with a long-running and hugely popular series of Freudian adaptations of Edgar Allan Poe, produced for American International Pictures (AIP): The Fall of the House of Usher (1960), The Pit and the Pendulum (1961), The Premature Burial (1962), Tales of Terror (1963), The Raven (1963), The Haunted Palace (1964), The Masque of the Red Death (1964), and The Tomb of Ligeia (1965). Most of the scripts were penned by Twilight Zone scribes Richard Matheson and Charles Beaumont, with Robert Towne filling in on Ligeia. On a whim, Corman also made an attempt to “out-Poe Poe himself.” The Terror (1963) arose from Corman’s legendary thrift. After the completion of The Raven, Boris Karloff still owed Corman a few days of shooting, so Corman hired Leo Gordon to write a script utilizing the same gothic sets. The initial idea was simple: Instead of ending with a fire, The Terror would end with a flood. The first two days were shot, and the rest of the film was finished over a period of months, up and down the California coast, by a variety of up-and-coming filmmakers: Francis Ford Coppola, Dennis Jakob, Monte Hellman, Jack Hill and Jack Nicholson. Corman had greater commercial success than any other independent filmmaker of his generation, but in the early 1960s he began to worry that he wasn’t achieving his full potential. In between Poe adaptations, he made a handful of films that addressed important changes in American culture: The Intruder (1962), The Wild Angels (1966), The Trip (1967) and Gas-s-s-s! (1970). Two of the films highlighted Corman’s “outsider” mentality (The Wild Angels and The Trip) and became AIP’s biggest financial successes; the other two were commercial failures that left Corman frustrated. After 1971’s Von Richtofen and Brown, Corman decided to take a break from directing and concentrate on getting his new distribution company, New World Pictures, off of the ground. He has returned to the director’s chair only once since then (Frankenstein Unbound, 1990), but has had enormous success as a producer for nearly four decades – helping to launch the careers of some of Hollywood’s most famous actors and filmmakers: Jonathan Demme, Pam Grier, Martin Scorsese, Sylvester Stallone, Joe Dante, Ron Howard, John Sayles, James Cameron, and Peter Bogdanovich. Corman, Roger with Jim Jerome. How I Made a Hundred Movies in Hollywood and Never Lost a Dime. New York: Da Capo, 1990.